What’s the phase of the moon today, or any other day? Choose a date and discover how the moon will likely appear on that day. 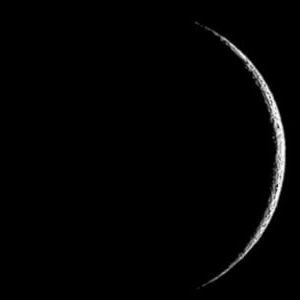 The moon changes in appearance and location in the sky everyday, which is why we refer to the moon by its phases: new moon, new crescent moon, 1st quarter moon, waxing gibbous, full moon, waning gibbous, 3rd quarter, and old crescent. See how the phases change over the course of the moon’s 29.53-day cycle.